From the Sarasota Herald Tribune, “In Sarasota 220 first responders from 20 agencies and more than 40 volunteers participated in the largest terrorism preparedness drill staged so far in Manatee County. LECOM Park, the spring training baseball stadium for the Pittsburgh Pirates, became the staging ground for police officers, sheriff’s deputies, paramedics, firefighters and others who rehearsed what they would do if terrorists tried to harm thousands of civilians attending a public event in Manatee County. 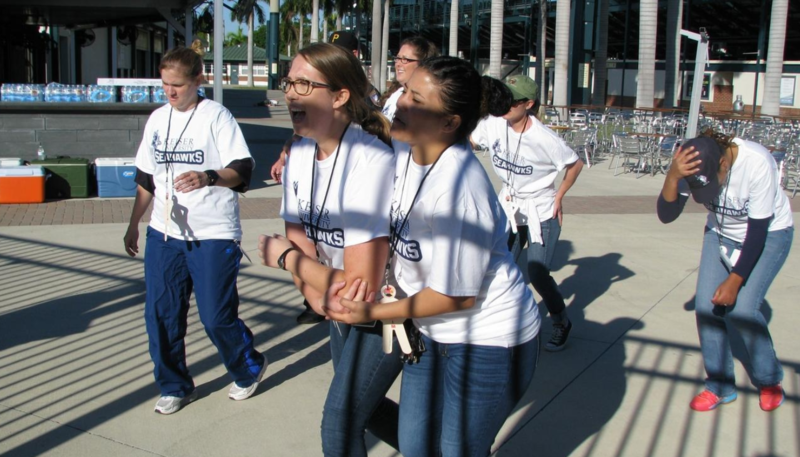 The volunteers, including 22 nursing students from Keiser University, were escorted out in phases to simulate the time it most likely would take to get a crowd of 2,500 through the stadium’s rear gates. Some volunteers pretended to fall, as if they had been trampled and wounded by others. “It was kind of surreal,” Keiser student Rich Cigich said of the evacuation exercise. To see pictures from this event visit this link.